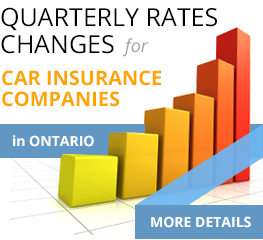 Insurance Information Centre, Information to consider when looking for insurance. Some of the most common questions we’re asked about insurance. If you can’t find answers you’re looking for here, our brokers are always available to answer any questions you might have. Claims Support As your insurance broker, its our job to make the claims process less stressful. Filing a claim can be confusing, and the added stress is the last thing you need. Fortunately, we work for you, not the insurance companies, so we are here to help make things simpler. Customized Service Every individual is different, and has different insurance needs. As your insurance brokerage, we will take the time to find the perfect coverage options for you, options that meet your individual needs. We are aware that your needs are always changing. We will keep those in mind to make sure you always have the best coverage, no matter what your needs are. 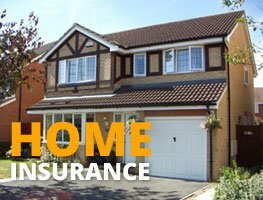 Choice As an independent insurance broker, we work with multiple insurance companies. What that means for you as the consumer is that you have numerous options not only in terms of coverage, but also providers. 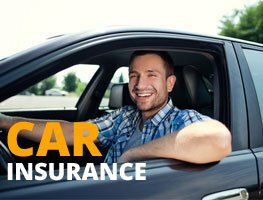 Instead of one insurance company, you have the ability to choose from a wide variety. Not only does this mean you get more options, it means you also get the best price. 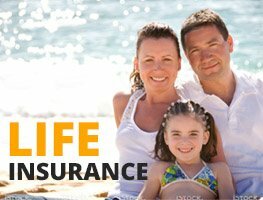 Expert, Professional Advice Insurance is a complicated field with its own language and protocols. Insurance brokers are specially trained to navigate the mess, and licensed so you know you can trust them. You don’t want to be caught in the cold, even if you’re inside your home. So make sure you prepare for the winter early. Get your furnace checked to make sure the filter is clean and properly sized. Make sure your thermostat and pilot light are functional. Get this done in the fall to make sure your home is nice and toasty when the cold sets in. While preparing for the winter, you will want to check your chimney if you have one. Over the year, debris, leaves, and even animals can pile up in there. So make sure it is clean and had plenty of room to ventilate, so you can keep the fire blazing in the hearth all winter long! Make sure to clean your eaves troughs as well. Leaves and other debris cause water to pool, and when the temperature drops, the water can freeze, expand, and damage the eaves troughs. Keep your family safe by checking the batteries on your smoke and carbon monoxide detectors. A good rule of thumb here is to check them every time you change your clocks. While you are at it, make sure your weather stripping is intact around all your doors and windows. Breaks in the caulking cause heat to escape and unnecessarily raise your heating costs. Electric Scooter When these first became popular, they were not approved for road use by the Ministry of Transportation Ontario (MTO). Since they did not meet regulations, electric scooters, mini bikes, and other similar contraptions were not covered under either auto or property insurance policies. Now, in an effort to allow more Ontarian to be mobile, MTO has allowed for more of these smaller vehicles to be used on public roads. But make sure yours meets the requirements before hitting the road; you don’t want to be on the hook for damages. Why do I need to Insure ... ? My Event If you are hosting a party in your home, Event Liability Insurance will cover you in the case that one of your guests is injured. It also protects you in the case of property damage, and any injuries to your guests resulting from alcohol consumption. If you are hosting an event at an external venue, you will probably have to purchase this insurance anyway; most banquet halls and other venues require it before renting out their space. The good news about Event Liability Insurance is that it covers you where your homeowners insurance doesn’t, yet your premiums won’t go up even if claims are made! My Title Title insurance covers you in the case of unpredictable issues that affect your property ownership. In other words, liens, survery defects, easements, and other problems. But it can also cover you in the case of something more sinister, like identity theft. There has been a startling increase in cases where identity thieves forge signatures to transfer homeowners properties into their possession. As well, there have been cases of thieves stealing identities in order to take out additional mortgages on a property, then pocketing the money. Title insurance protects you in all of these cases.